Run professional-grade software with high-speed processors, superior graphics, and fast storage. All-day battery life lasts beyond your workday. Adapts to the ways you work best. 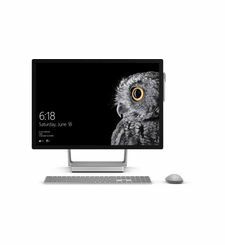 The new Surface Book 2 is a dynamic and versatile laptop that adapts to the way your teams work and create. Make teamwork shine with premium materials, responsive hardware, and craftsmanship you can feel. Surface Book 2 is engineered to deliver the best experience of Office 365 to your teams. With built-in Office 365 integration, this laptop seamlessly connects to your IT environment. Capture and organize ideas with OneNote, your team’s digital notebook. Brainstorm, take meeting notes, and clip inspiration from almost anywhere. The new Surface Book 2 with Intel® Core™ i7 processors powers Windows Mixed Reality Ultra experiences.3 Get immersed in VR content when you pair the new Surface Book 2 with a headset4 and motion controller. Surface USB-C to HDMI and VGA Adapters. USB-C to HDMI and VGA adapters connect to compatible displays, monitors, and other peripherals. 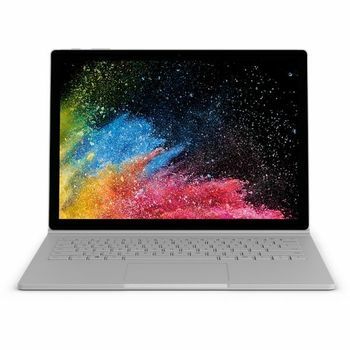 MICROSOFT SURFACE BOOK 2 13.5INCH 512GB I7 8650 U QUAD CORE HNM-00001 ENGLISH SILVER Surface Book 2 Take a look at this table for all the tech specs. Everything you need to know about unleashing the power of Surface Book 2 can be found right here. Built for performance. Run professional-grade software with high-speed processors, superior graphics, and fast storage. All-day battery life lasts beyond your workday. Adapts to the ways you work best. The new Surface Book 2 is a dynamic and versatile laptop that adapts to the way your teams work and create. Designed with innovation in every detail. Make teamwork shine with premium materials, responsive hardware, and craftsmanship you can feel. Best of Office 365. Surface Book 2 is engineered to deliver the best experience of Office 365 to your teams. 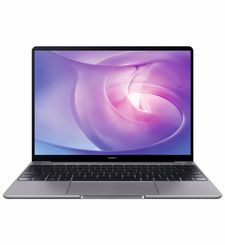 With built-in Office 365 integration, this laptop seamlessly connects to your IT environment. OneNote Capture and organize ideas with OneNote, your team’s digital notebook. Brainstorm, take meeting notes, and clip inspiration from almost anywhere. Windows Mixed Reality. The new Surface Book 2 with Intel® Core™ i7 processors powers Windows Mixed Reality Ultra experiences.3 Get immersed in VR content when you pair the new Surface Book 2 with a headset4 and motion controller. Surface USB-C to HDMI and VGA Adapters. USB-C to HDMI and VGA adapters connect to compatible displays, monitors, and other peripherals.